The InSight GC2 48V 30Ah lithium battery delivers high-quality performance, power and precision. 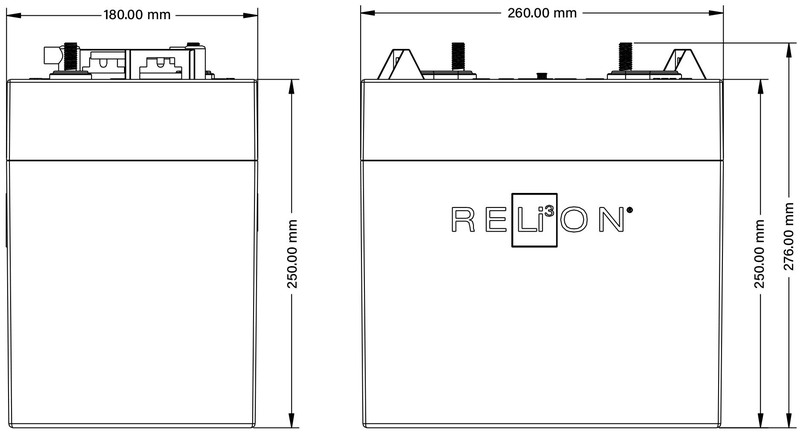 RELiON’s InSight Series batteries are the first scalable LiFePO4 drop-in replacement battery, that comes in industry-standard sizes, with no extra hardware needed when connected in parallel. They’re designed to replace lead-acid batteries in any deep cycle application, including golf carts, marine, RVs, renewable energy systems, floor machines, scissor lifts and much more. All InSight batteries feature a SuperSmart BMS, that maximizes battery performance, even when connected in parallel, eliminating the need for an external master BMS, or any additional hardware. The innovative algorithms in the SuperSmart BMS ensures precise balancing. This optimizes performance in each battery when multiple batteries are connected in parallel, providing maximum capacity and life. The InSight Series LiFePO4 batteries are maintenance free, easy to install and use the connections you’re already accustomed to. Just connect and go! Our newly launched InSight Series batteries will be available for purchase soon! In the meantime, if you're interested in receiving updates as product pricing and availability is released, please fill out our form with your contact information. We will keep you informed as the InSight Series becomes available for online purchase.